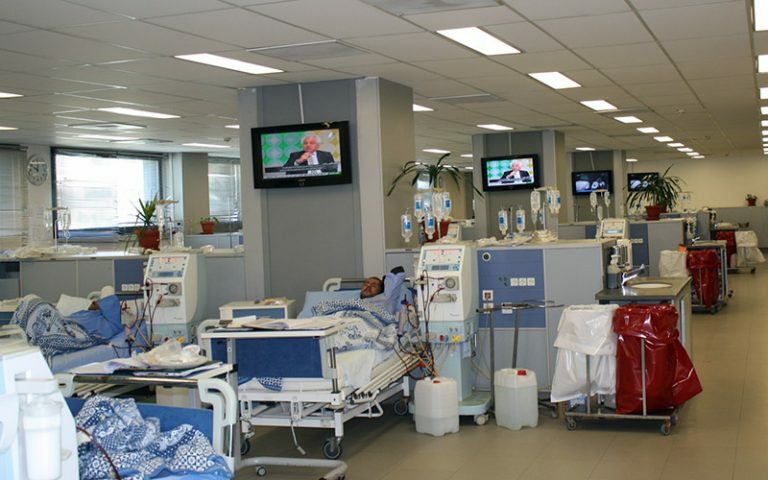 President Abdel Fattah al-Sisi has announced the establishment of 1,000 kidney dialysis units for children, funded by the “Tahya Misr” national fund. The president said that this initiative aims to treat as many schoolchildren with kidney failure as possible. According to the last report conducted by the Egyptian Center for Nephrology and Kidney Transplantation, around 60,000 patients in Egypt are in great need of frequent kidney dialysis. Ihab Taher, member of the Egyptian Medical Syndicate, told Al-Ahram Gate that the president’s initiative is a good step, as many patients die almost daily due shortages of dialysis units. Sisi made the announcement during the launching ceremony of the “Nour al-Hayah” initiative, which targets people with poor vision. He also presented various other projects by Tahya Masr Fund that serve different needs, such as establishing 250,000 housing units. The president said that the budget assigned by the government to serve the needs of school children is insufficient, adding that more money is needed to guarantee the success of these initiatives even before launching. The Tahya Masr national fund was founded by President Sisi in 2014. Military forces first supported the fund with one billion LE, and it then began receiving donations through both international and local sources. The fund’s main purpose is to support diverse social and economic projects. Sisi also established the largest ever campaign to detect hepatitis C in October 2018. As part of the initiative, Manal al-Sayed, a member of Egypt’s National Committee for the Control of Viral Hepatitis, mentioned that school children between 12 to 18 years old would be examined starting March 2019.